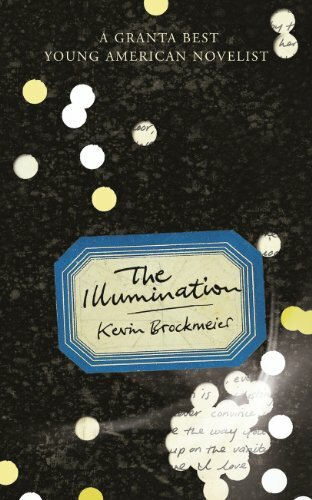 In this superb novel, everyone’s pain suddenly becomes illuminated and now to encounter people is to encounter them lit up where they hurt. It’s actually a series of short stories set in this world, linked by an object, a woman’s journal collecting the daily declarations of love from her husband. The stories are all so different, showing Brockmeier’s incredible range, his ability to imagine himself into such different people’s lives. One of the highlights is the story of a writer whose life is constrained by severe mouth ulcers. It’s a beautiful exploration of pain and its hold on a life. The other highlight for me is a story exploring faith through a reluctant door-to-door evangelist. He is overwhelmed by the mystery of existence, believing in something he can’t even express but knows is not the message he brings people out of loyalty to his dead sister. The story follows him for fifty years. The book as a whole doesn’t really resolve, but I have an open mind on whether that’s actually a failing. Like in his earlier novel, The Brief History of the Dead which was set in an afterlife populated only with the dead who people on Earth still remember, Brockmeier uses a fantasy device to reveals much about existence.